There is virtually no other martial art system or style, internal or external, that has combined and seamlessly integrated the whole pantheon of martial art fighting techniques in one package as effectively as bagua zhang (ba gua chang/pakua chang). In bagua zhang, you can hit a person with an open hand, a fist or a push. You can hit with your hand, head, shoulder or any other part of your body. You can punch straight ahead, in a round fashion or from every conceivable angle. You can also throw individuals without grabbing their bodies by tripping them through careful placement of your foot or by breaking their balance while controlling their arms and hands. You can use foot sweeps and leg cuts. In addition, with bagua zhang you can lift an attacking man over your head and throw him on his back or on his face or head. There are also bagua chokes and joint-locks or chin na techniques as well as bagua grabbing techniques in which you seize your attacker’s skin and try to rip it off his body. Bagua zhang also has a range of kicks both high and low, knee butts and stomping techniques and a full arsenal of traditional weapons. Bagua zhang was designed to fight up to eight opponents at once. This design is based on the inability of more than eight people to attack one person simultaneously without getting in each other’s way (unless armed with spears). When facing multiple opponents, the bagua zhang fighter flows through the group of attackers, constantly twisting, turning and changing direction. From a defensive point of view, this minimizes the need to block attacks, since you are a continuously moving target that is no longer at the original location when the blow arrives. Never remaining in one spot for more than a fraction of a second, the bagua zhang fighter intends to disable, or at least bypass, one opponent and continue on to the next before the first attacker is replaced. This efficiency can only be achieved through the deception and exploitation of angles of attack that most other martial arts do not utilize. 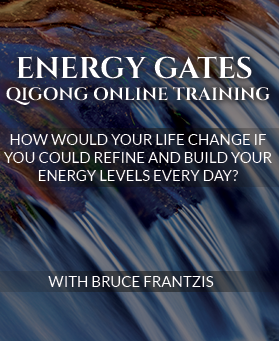 In bagua zhang, the cultivation of energy and the fighting applications are based on two distinctively different practice methods. 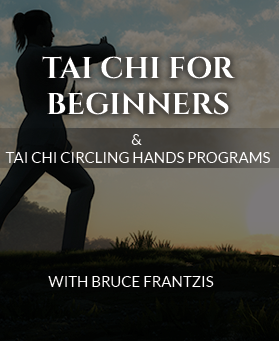 The first bagua zhang method taught by the founder, Dong Hai Chuan, involves Bagua Circle Walking techniques exclusively, and is referred to as the Pre-birth method (or hsien tien in Chinese). The second bagua zhang method, called the Post-birth method (or hou tien in Chinese), emphasizes bagua’ s (ba gua’s/pakua’s) fighting applications, not its health and meditation aspects. The post-birth method is often done in straight lines rather than by Bagua Circle Walking. Throughout history, most of the best bagua (pakua) fighters used on a small number of fighting techiques, done with such power and skill that no more was needed. In Pre-birth bagua, students are first taught the internal components through the bagua single palm change. Later, they are taught how to expand those components to direct and power other physical movements. Students typically would practice Bagua Circle Walking for one to several years. They would progressively add more and more internal neigong elements while they opened up the energy channels of the body with specific bagua energy postures and the Bagua Single Palm Change. As each internal component stabilized, they then found that any applications they knew became imbued with power. Through this process, the body becomes very strong. The student can start to realize how the energy that is inside connects to the energy that is outside: how the yin and yang energies inside the body equate to the sun and moon in the heavens, how the microcosm and the macrocosm interconnect. 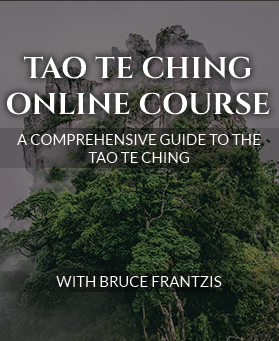 Once this foundation has been carefully laid, the student can next begin to learn the movements of the Eight Mother Palms, which, when done using the eight energies of the I Ching, are called the Eight Inner Palms, or nei ba chang.